Wanderlust helps you discover the attractive places around you. 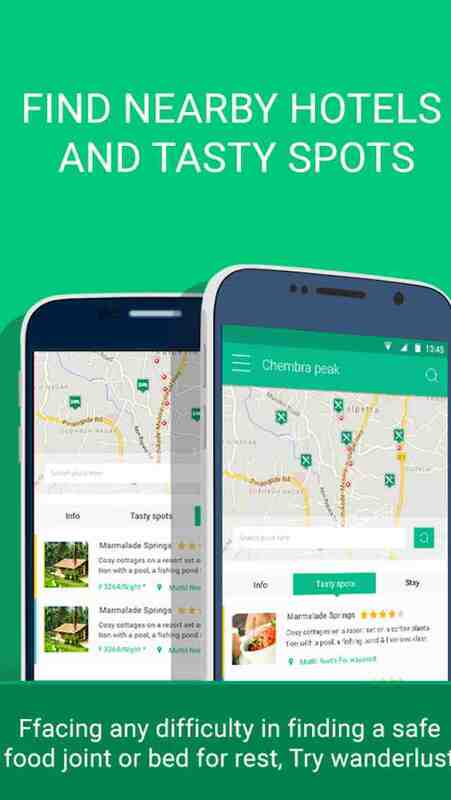 You just need to download the application, find travelers around you, start chatting and go on impulsive adventures. As simple as that.
? TIME LINE - Post photos and travelogue - Knowledge is useful only when it is shared. So please help other travelers to find the best and safe paths by sharing travel pictures, travelogue with maps.
? 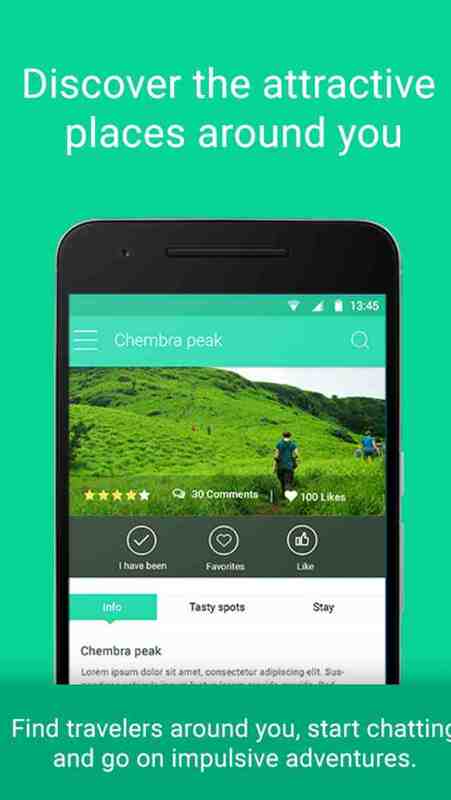 FIND NEARBY HOTELS AND TASTY SPOTS - facing any difficulty in finding a safe food joins or bed for rest. Trust our travelers’ ratings and opinions. Our only source of ratings is your ratings and opinion.
? WISH LIST - Planning to visit a new place, just search in our vast database and add to your wish list. We will keep reminding you, so that your wish never remains a wish.
? FIND YOUR NEW TRAVEL MATE - Sometime we all need a companion. We help you to find the like minders.
? 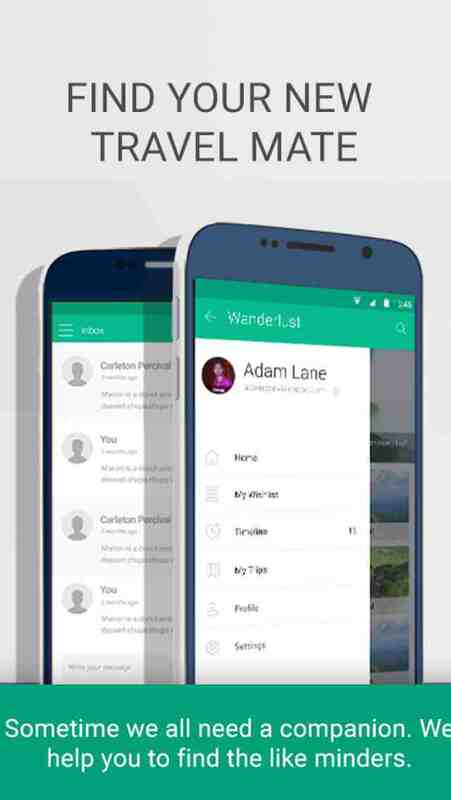 MESSAGE YOUR NEW TRAVEL MATE - Contact a new wanderlust with your profile and make new friends.minders.
? PLAN TRIP WITH YOUR WANDERLUST FRIEND - Meet a wanderlust, travel with him, share your stores and experiences... Trust us, you will never regret it.
? ADD FAVORITE PLACE LIST - Help us to promote a new place you traveled by adding it to our favorite place list.
? ADD YOUR PLACE - Been to a new place, add it to our database. We are coming up with staring system for top explorers and top explorers will be on our front page.
? SAVE YOUR DIARIES - Forget pen and paper, login to your account and we give you enough space to add your diaries with 100% privacy. We will soon come up with voice recording options for your diaries.